Today we had a dark room workshop creating photograms. This involved placing objects onto photographic film and then developing the negatives. 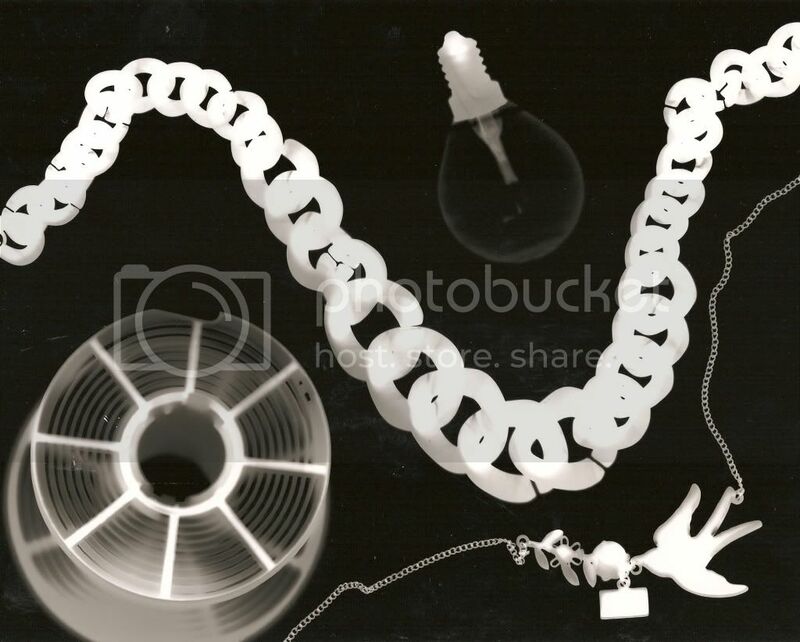 I like how the photograms pick up even the finest of details on the small fine objects, such as the small chain on the sparrow necklace. I would like to try out more dark room processing, but would like to try out developing photographs; so I will be looking for a film camera very soon!